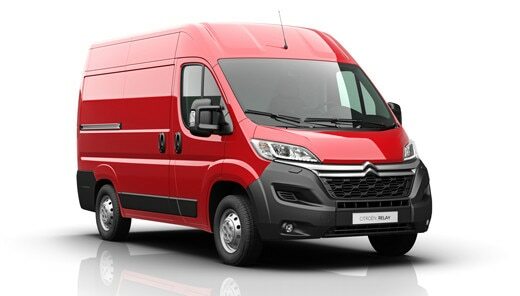 Citroën Relay is also a reference in comfort, favouring the well-being of body and mind for optimal working conditions. On board, you will find all the options for taking care of your tasks. Citroën Relay's extendible writing panel is a support for your purchase orders, smartphone or tablet without having to leave the cab. Just like the office. A small pleasure that changes the lives of those who spend the day driving! The front seats are designed to maximise driver comfort with an armrest and lumbar adjustment. The driver's seat is also placed on a variable damping system that will further absorb the irregularities of the road or sites. There are two USB ports in the cabin of Citroën Relay. One is connected to the radio and can recharge mobile devices, while the other only allows recharging of a second device. With these two USB ports, your devices will never lack power. Relay has some useful equipment and technologies rare in this class of vehicle (light commercial vehicles). They are there to facilitate driving and include the Bluetooth hands-free kit, rear view camera, and downhill speed control system. Citroën Relay features a 5 inch colour touchscreen with reversing camera functions. • Orange: obstacle may impede opening of the rear doors. 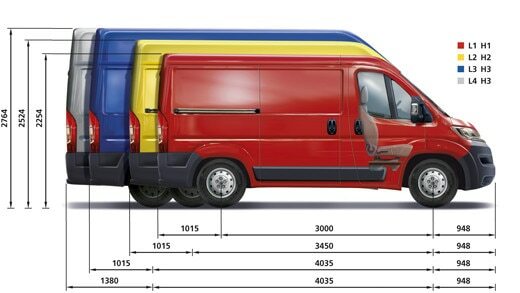 It allows you to precisely calculate how much space is necessary to open the doors. • Load Adaptive Control feature that increases the effectiveness of ESP.